Researcher/Consultant (2012-present). Mobile and E-Learning Solutions to Reduce Critical Health Disparities in Ghana: A Cross-cultural Collaboration between Ghana, Canada, and the USA. Funded by Grand Challenges Canada. 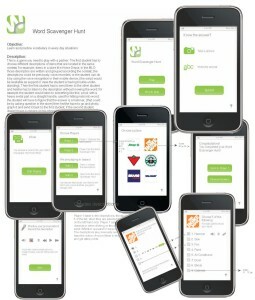 Research Project Lead (2011-2013): Orientation Scavenger Hunt for Mobile Devices- Interdisciplinary project connecting faculty, students and IT professionals across GBC departments. Research Project Manager and Co-researcher (2011-2013). Six faculty and student mobile/blended learning research projects at various departments at GBC. Researcher (2011), Athabasca University: National Survey of Mobile Learning in Canada. Funded by Rogers Canada. Research Project Lead (2008-2009): Occupation-Specific Language Profiles – Phase 2: Adjunct Communications Course for Accountants. Blending mobile, online and in-class learning. Funded by the Ministry of Citizenship and Immigration. Research Project Lead (2007-2008): Occupation-Specific Language Profiles – Phase 1. Funded by the Ministry of Citizenship and Immigration. Research Lead (2007-2009): College to Workplace – Language Benchmarking. Funded by the School of Business (GBC). Doctoral Research (2009-2011): Design guidelines for Mobile-Assisted Language Learning objects supporting the development of ESP listening skills.